BBQ Concepts of Las Vegas, Nevada is your premier source for custom outdoor kitchen design & manufacturing services. If you’re in the market for a new barbecue island & outdoor living area, we’re here to help. From concept to completion, our team of experienced and courteous design professionals is a step above the rest. We specialize in manufacturing prefabricated barbecue island components. From custom fire pits, outdoor fireplaces, barbecue islands and more. Let us assist you in the design and construction of the outdoor living area you’ve always imagined. Whether you’re building an outdoor kitchen area for entertaining purposes, or for increasing the equity and overall resell value of your home, you’ll find the professionals here at BBQ Concepts to be the perfect solution. How would you like to see your outdoor kitchen design before ever spending a dime? With BBQ Concepts, we utilize modern 3D CAD design technology. CAD (Computer Aided Design) enables us to easily and quickly render preliminary designs for your approval. The BBQ Concepts outdoor kitchen design phase drastically reduces errors and misunderstandings that can arise during the construction process. You’ll know what you’re getting and how much you’ll be paying for your new outdoor addition. It all starts with a scheduled in-home design consultation. One of our outdoor living specialists will happily stop by your home to take some initial measurements and to survey your outdoor space. We invite you to give us a call or to stop by our beautiful showroom today. You can also check us out and follow us on Facebook or one of our other social media outlets. 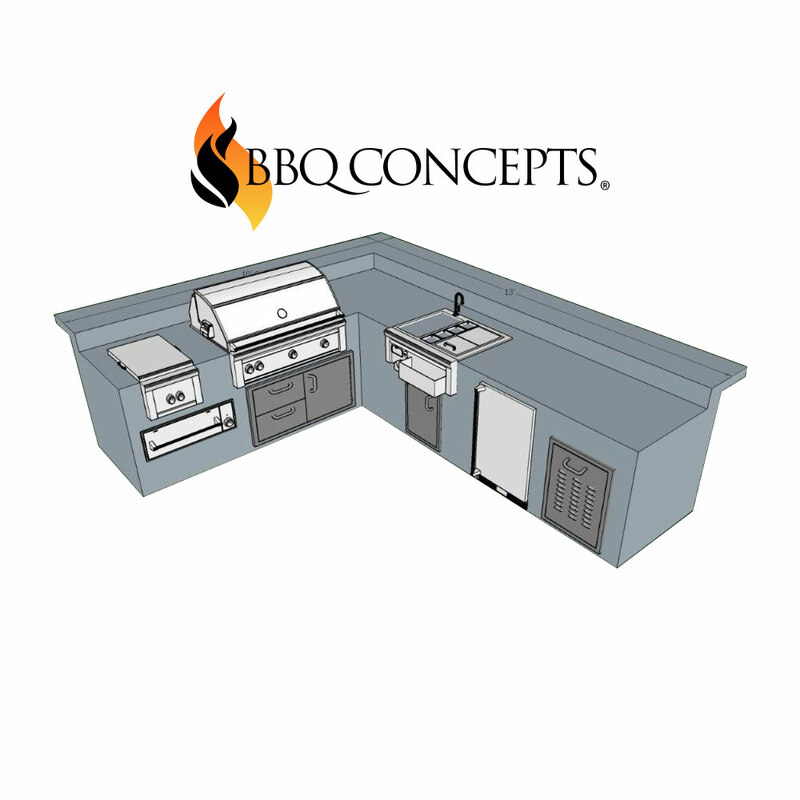 You can count on BBQ Concepts for all your custom outdoor kitchen design & manufacturing services.